Centerville attorneys with more than 35 years of combined experience advancing clients' lives and businesses Craver & Grothe, LLP represents clients in estate planning, civil litigation, and corporate and real estate transactional law. With more than 35 combined years of experience, their attorneys have earned an outstanding reputation among clients and peers in Centerville and throughout the Southeast and Central Regions of Iowa. 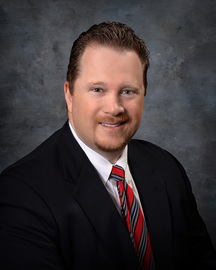 If you need an attorney to advise you on tax implications of transferring property for your family business, or if you need legal counsel on how to formalize your business structure or preserve generational wealth using a trust, Craver & Grothe, LLP has the experience and skills to represent you. Attorneys Bradley M. Grothe and Michael D. Craver are experienced, smart, thorough, and dedicated to delivering results for the clients they represent. They have grounded their firm in the qualities they embrace as lawyers and which clients have come to expect from them: Skilled representation Attorneys at Craver & Grothe LLP have dedicated their careers to transactional law. They have handled the most complex cases in estate planning and real estate law. Current clients benefit from their rich file of case histories which enable effective strategies and top notch representation. Superior service Clients receive personal attention throughout their case. The firm's attorneys are accessible and responsive, returning calls and emails promptly. Craver & Grothe LLP offers the skills and experience of a large firm, with the personal client service of a small one. Commitment to results Attorneys Bradley M. Grothe and Michael D. Craver are true business partners to their clients, completely invested in their success. Clients entrust them with the security of their business and personal goals, a trust Craver & Grothe LLP takes very seriously. They provide confident, aggressive representation to deliver the results their clients expect. They take great satisfaction advancing the lives and businesses of those they represent. Craver & Grothe, LLP represents clients in estate planning, civil litigation, corporate and real estate transactional law, family law, and probate: Estate planning Attorneys at Craver & Grothe, LLP advise clients on wills, trusts, transferring assets, minimizing taxes, powers of attorney, and charitable giving. Civil litigation Clients come to them for representation in breach of contract, personal injury, products liability, property damage, and more. Transactional law At Craver & Grothe, LLP, attorneys negotiate agreements, review sales contracts, perform real estate title searches, handle mergers and acquisitions, and oversee formation of joint ventures. Family law - Attorneys handle divorce, custody, and other family law issues. Probate - Attorneys at Craver & Grothe, LLP help families through the probate process after the death of their loved one, allowing assets to be distributed to beneficiaries. The firm's attorneys are experienced in complex laws affecting transfer of property and associated tax implications. They structure transactions so clients take full advantage of applicable tax credits, deductions and exemptions to maximize benefits to their businesses, families and philanthropic beneficiaries. A full service estate planning law firm, Craver & Grothe, LLP provides clients with integrated plans that explain both legal and tax consequences before any decisions are made. They work closely with accountants and financial professionals to advise clients on: General estate tax advice General gift tax advice General income tax advice Stepped up cost-basis How gifts can reduce your estate tax burden Capital gains upon the sale of real property, etc. 1031 exchanges Alternate valuation elections Generation-skipping taxes How charitable gifts can reduce your tax burden General tax advice for revocable, irrevocable, grantor and charitable trusts Taxation of S-Corporations, limited liability corporations, partnerships, etc. The net worth of their clients ranges from modest to substantial, and they address both legal concerns and family and personal concerns that are important to clients during wealth preservation planning.